Kierspe/Germany, October 2013 –At K 2013, gwk (www.gwk.com), a leading supplier in the areas of cooling technology, temperature control, water treatment and mould technology, will be demonstrating, how significant savings in energy consumption and cost as well as reductions in cycle times can be achieved in the injection moulding process by using advanced cooling and temperature control equipment. Specifically in the area of temperature control of complex, thin-walled areas of a moulded part, the use of CO2 is now paving the way to an extended range of opportunities. The gaseous medium, which has e. g. been used as a proven method for cooling long and thin mould cores for many years, does not have a tendency to deposit in the cooling channels, causing these to clog. And due to its efficient thermal transfer properties, CO2 provides an exciting alternative to the use of water. Although already well-established as a cooling medium, the use of CO2 for heating of moulds is new. 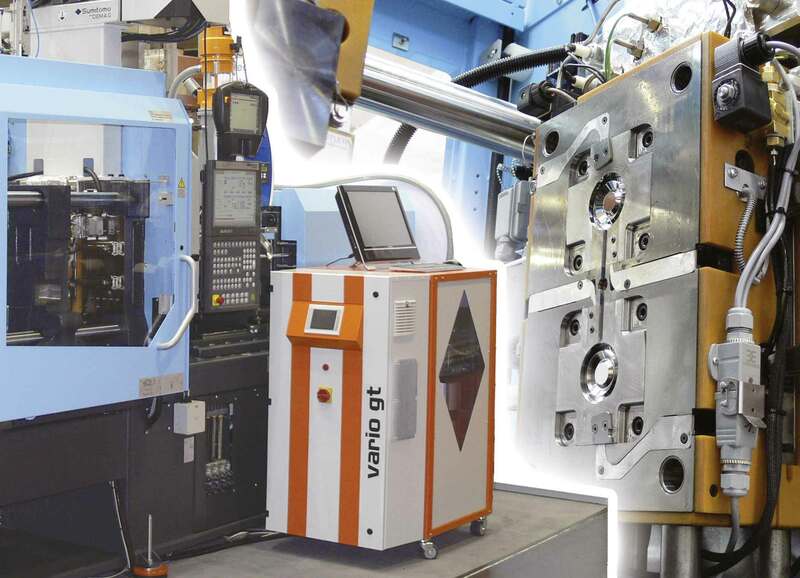 For this purpose, gwk has now developed the vario gt system, which optimises the use of CO2 at high temperatures and may thereby enable a significant reduction of cycle times. The new system compresses the CO2 gas to a suitable pressure and heats it close to the mould cavity. Unlike water or hot steam, the medium is uncritical even at high temperatures. At its booth J39 in Hall 10 at K 2013, gwk will for the first time provide a “live” demonstration of the use of the innovative vario gt system for mould cavity temperature control with CO2, using as example optical lenses for LED lighting, made of PMMA and manufactured on an Arburg all-electric injection moulding machine. 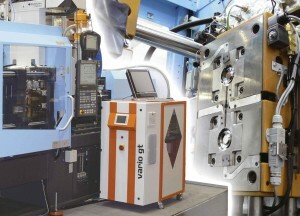 Mould inserts manufactured by means of the integrat 4D process, with close-to-cavity, contour-following cooling channels, ensure quick and precise heat transfer in the injection-moulding tool.